Pearkes Recreation Centre, 3100 Tillicum Road, Victoria B.C. Entries are selected on the basis of originality, quality, overall aesthetics and public appeal. No critique is given of crafts. Applicants can be the artisan, designer, and producer of goods to be sold. Exhibitors unable to attend may send a family member, friend or staff to assist in sales. High quality fair trade imports & commercial goods accepted. 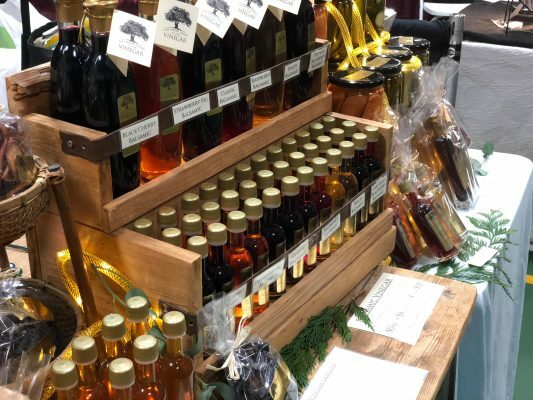 Creative Craft Fairs is advertised extensively through newspapers, editorial coverage, radio, television, magazines, outdoor signage, social media and more. Some of our most valuable advertising comes through word of mouth from customers returning year after year! Posters and flyers promoting the show are available for participants and are also distributed throughout Victoria. EXTRA tables and chairs must be ordered through the display company. For an extra $60 we can place any booth on a corner. Corner booths are limited and allotted on a first come first serve basis. Corners must also be prepaid with the application. Sharing a booth is allowed for half the booth price, plus the application fee. Please let us know if you need assistance in finding an exhibitor to share a space. Exhibitors requesting over 750 watts must indicate this on the application form. Booth carpeting is not necessary, though for comfort and aesthetics, Creative Craft Fairs encourages you to carpet your booth. Participants and booth helpers must wear a Badge. Please order extra ones for helpers on the application form. Corner charges may be added to the LAST CHEQUE. BOOTH FEES WILL BE REFUNDED IF YOUR APPLICATION IS NOT ACCEPTED. 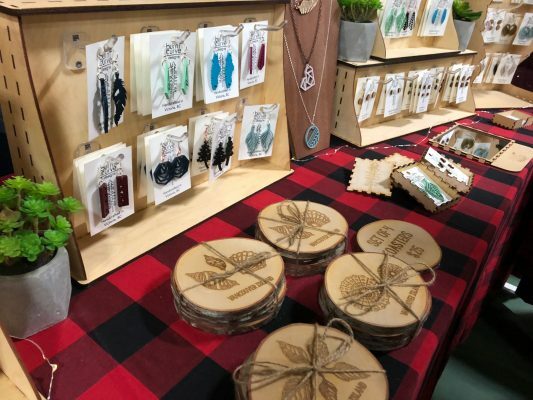 WEST COAST CRAFT FAIR INC.
SPACE IS AVAILABLE for Nov 8-10 2019 show. Please send application form by May 1. However, if you receive this information after May 1 do not hesitate, YOU MAY STILL APPLY, booths are allotted depending on space availability. If your category has been filled there is a waitlist. If you are accepted but placed on the waitlist, your cheques for booth fees will not be cashed until you are placed. INTERAC E-Transfer to creativecraftfairs(at)gmail(dot)com OR Postdated cheques payable to West Coast Craft Fair Inc.
A stamped, self-addressed envelope for your return of photos (if sending photos by snail mail). 1 booth display photo if possible. PLEASE DO NOT SEND SAMPLES. All photos that are submitted for jury, are done so at your own risk, and that Fair Management shall not be responsible for their receipt or condition, nor for their return, unless return postage is enclosed. after receiving your acceptance letter and before September 1, you will receive a booth refund, minus a $50 cancellation fee. between September 1 and September 30 you will forfeit the BOOTH DEPOSIT (50% of the booth fee). after October 1, you will forfeit the ENTIRE BOOTH FEE (100% of the entire BOOTH FEE). You will be fully responsible for any damage to facility property or premises incurred by yourself or any persons connected with your booth. You hereby release the facility and Craft Fair Management and their Agents from any responsibility in the case of loss or damage to your goods or possessions. You also render harmless the above-mentioned Management, etc., against all claims by purchasers of your goods which prove to be defective or which cause injury or damage. Acceptance to one show does not automatically guarantee your acceptance to shows every year. You understand that EXHIBITORS WHO REMOVE A BOOTH FROM THE SHOW PRIOR TO THE DESIGNATED SHOW CLOSING TIME WILL AUTOMATICALLY BE REMOVED FROM THE MAILING LIST.